Some important reminders on cyclocross rules from Tom Forbes, Chief Commissaire, ahead of the Scottish Cycling Cyclocross Championships at Glenrothes next weekend. Each event will be held under the Technical Regulations of Scottish Cycling (see the Little Blue Book) and where appropriate British Cycling (see here). 2. Numbers should be clearly visible, securely fastened and not folded. 3. Races will start promptly at their indicated start times. 4. The feeding of competitors is strictly forbidden and will be enforced by the Commissaires. 5. Other than in the Youth categories, competitors are required to compete in colours/designs corresponding with the club or team printed on their race licence or in any plain colour other than black with no significant logos, team names or advertising displayed. Unattached riders should compete in any plain colour other than black. 6. No competitor may warm up on the course once an event has started. 7. Any competitor dropping out of an event should immediately go through the finishing area and notify the judging team. 8. Competitors who are lapped may be pulled out of any event at the discretion of the Commissaires. Otherwise, lapped competitors must remain separate and keep to the left when being overtaken by other riders. 9. The ringing of a bell will indicate the last lap. 10. All competitors in each event will finish on the same lap as the winner. Competitors who are lapped will complete fewer laps than the winner but nonetheless will be placed according to their position, (e.g.) @ 1 lap. 11. The use of personal music players/radios by competitors (iPod, Mp3, etc.) are not permitted while racing or warming up on the course. 12. At all times while warming up or racing on the course all competitors are required to wear a securely fastened approved helmet. 13. Location of First aid will advised to you on the day. 1. Competitors are permitted to use any MTB or cyclo-cross bicycle that is in good working order. Bicycles will not be examined but may be the subject of visible checks by the event Commissaires. 2. All external fittings such as mud/crud guards/racks/lights etc should be removed prior to each event with pumps/spare tubes/bottles etc securely fastened to the bicycle. If in doubt ask one of the Commissaires. 3. The exchange of equipment between competitors is forbidden. 4. In the event of a mishap, equipment may only be changed in the pits area. So as this is appropriate and is part of the British Cycling rules, will there be recognition for Veterans Champs as was passed at the AGM this year? 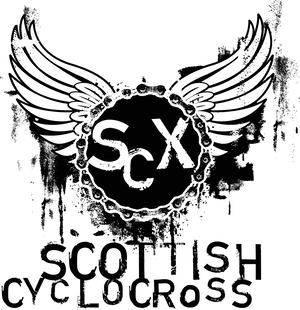 Changes voted through at the Scottish Cycling AGM last weekend will be made to SC's rules for 2010. So no veterans championship this year. How very negative. The thing that strikes me about these rules and regulations are that they will ensure that the events will be run safely and fairly for all concerned. I'm sure if you asked SC or BC for the reason behind them they would only be too happy to provide an answer. Have you done this?? I know of very few sports that don't have similar rules for participation/organisation. My wee boy plays football and his boots are checked for stud length/sharpness, he has to wear the team strip, if he hits his head or face (and it has happend) leading to bleeding he comes off and it gets seen to. If he fouls repeatedly he is sent off. I could go on but won't. Nobody moans about problems of participation/applying rules etc and footie will always get more kids than any form of cycling. I'm sure if you are done out of a medal or placing because someone has cheated the game referee will make the right decision.